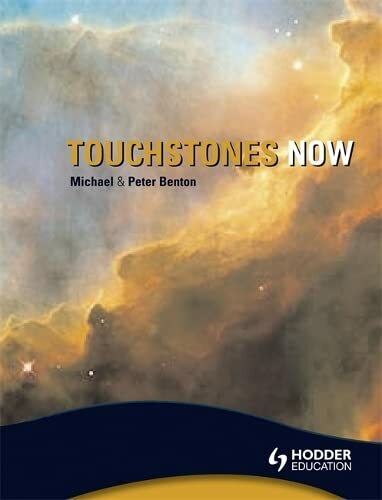 Dr Michael Benton Touchstones Now! The popular and trusted Key Stage 3 anthology - completely updated to meet the demands of today's classroom and the 2008 National Curriculum. Michael Benton is a highly respected author of Britain's leading poetry anthologies for schools including the 'New Touchstones' series and three books on paintings and poems - 'Double Vision', 'Painting With Words' and 'Picture Poems'. He is a lecturer in the School of Education at the University of Southampton. Dr Peter Benton is a highly respected author of Britain's leading poetry anthologies for schools including the 'New Touchstones' series and three books on paintings and poems - 'Double Vision', 'Painting With Words' and 'Picture Poems'. He is a lecturer in the Department of Educational Studies at Oxford University.